During this momentous Pentecost season following Israel’s 70th anniversary, as I was reading Acts 2, reflecting on Peter’s curious decision to quote Joel’s prophecy at a length so far beyond that which was fulfilled that day, I could not help but find the feast of Pentecost itself, by Peter’s lead, pointing me to the true significance of Joel’s prophecy. A hint from the Spirit, perhaps? The strong counsel to “watch” for the signs of the Lord’s coming is strewn throughout Holy Writ, most of all from the Lord’s own lips. I think we’re supposed to watch. The point of eschatology is that we don’t know the precise time of the Lord’s appearance, so we are to watch for the signs of the times in the light of divine information disclosed in prophecy. It’s not that we’ll never know when the Lord is coming; it’s that we’ll never know if we don’t watch. Ah… now we’re getting somewhere. These two signs, oddly, do not seem to appear in Revelation’s description of the sixth seal. A black sun and a bloody moon I can see fulfilling the “wonders in heaven”, but when paired in the same verse with the earth sign of blood and fire and smoke, I’m not so sure. Perhaps these two signs, one of heaven and one of earth, precede the events of the sixth seal altogether, the initial and absolute promise of God that the epic of evil has reached its last chapter—punishment. 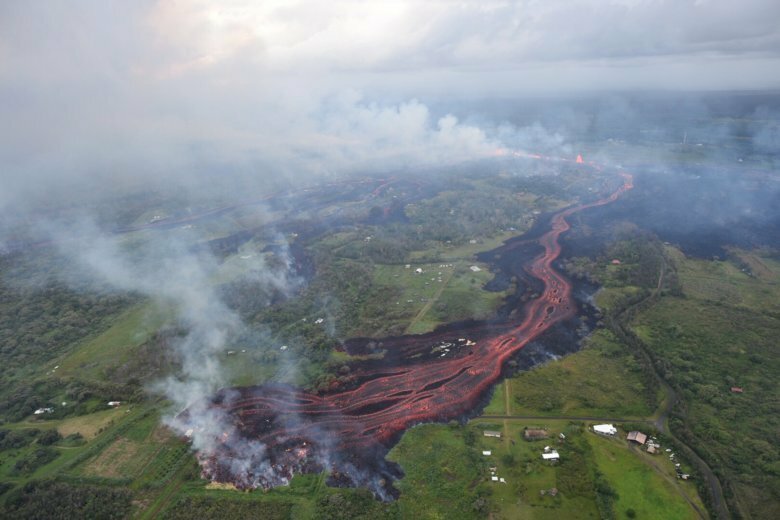 As I sat crosslegged watching the news from Hawaii during the Pentecost season, pondering away before blood-red streams of molten lava laying the paradise to ruins, for the life of me, I could not find the meaning in Joel’s prophecy. It hit me soon enough, as I’m sure it hit all the watchful saints. Understand that the volcanic eruption in Hawaii, still underway as I write this, is a truly historic calamity, sending chills of terror all across Pacific coastlines where such devastation from the Kīlauea Volcano is seen as a messenger of awakening to all volcanoes near the Ring of Fire. It is a symptom of deep subterranean disturbance, seismic activity writhing like a woman in labour ready to give birth to the dead in Christ alongside the worldwide earthquake described in the sixth seal of Revelation. Just before birth in a human pregnancy, a woman’s water breaks and her cervix dilates. With her painful contractions comes a burning sensation known as the “ring of fire.” The earth itself has a “Ring of Fire,” a 25,000-mile-long area in the shape of a horseshoe around the basin of the Pacific Ocean that is now on high-alert because of the sudden rise in seismic and volcanic activity in Hawaii. What can such imagery evoke but “blood and fire and vapor of smoke”? 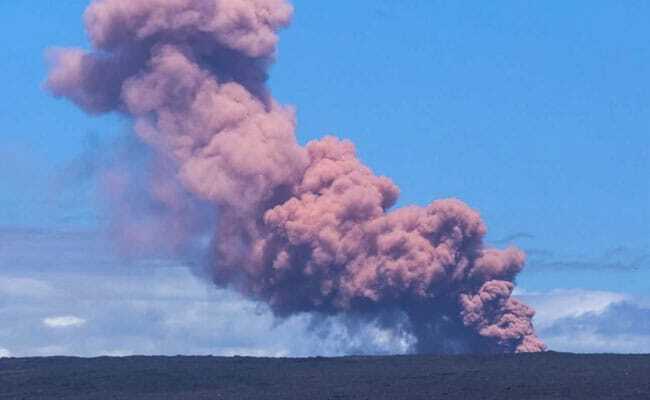 Other translations render that “billows” or “columns of smoke”, and Kīlauea’s spewed 30,000 feet into the sky, over six miles high, gushing liquid fire stained red like flowing blood with veinlike streams rushing death over the lush island landscape. The cost has been calamitous. Hawaii has declared a state of emergency with mass evacuations and a red alert for all aviation. 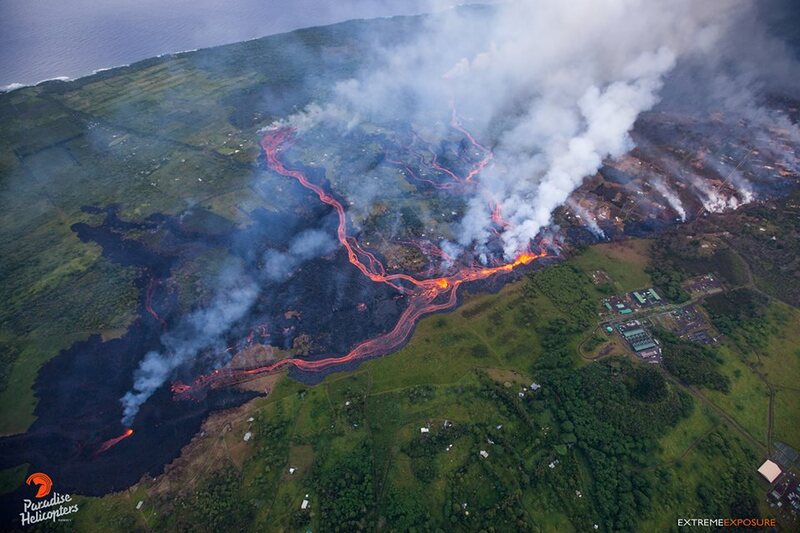 Reaching the coast and plunging into the ocean, the lava is polluting the atmosphere with toxic hydrochloric acid. This is a disaster of epic proportions, and it’s not the only one. The volatile Mount Merapi in Indonesia did the same thing in early May with an 11-foot column of ash—not to mention the nearby Mount Sinabung in Sumatra, which erupted in late February with a 23,000-foot billow of smoke. And now, a disaster spewing from Guatemala’s volcano Fuego has retold the tragedy of Pompeii by reducing men, women and children into statues of ash. 200 missing, 75 dead, and counting. Is this not precisely what we were told to look for in regard to the coming Day of the Lord, paired with “wonders in heaven above”? What wonders, you ask? Was it not just last September, eight months ago, that the watching community of saints were captivated by the perfect fulfillment of the Revelation 12 sign? It’s the only astronomical sign illustrated in Scripture; and there it was, heralding the rapture of the Church and the coming Tribulation as it appeared precisely on the Feast of Trumpets—just as now, through the season of Pentecost, we find the terrifying volcanic devastations worldwide fulfilling “signs in the earth below: blood and fire and vapor of smoke”. I can only speculate that Joel 2 was referring to the very last signs before the Day of the Lord, and they all appear to be raging forth in the current Hebrew year.